It’s April and that means MLB will consume our time until October. The regular season just started, as most teams have played ten games. We can glean some information from how teams have started, but keep in mind it’s a long season. What I’m watching for during the first few months of the season is how teams with a new identity build chemistry. The most talked about move was Bryce Harper signing with the Phillies. So far the Phillies are 6-2 and 1st place in the NL East. Philadelphia is looking to go all-in on a World Series, as they also brought in Andrew McCutchen (FA), J.T. Realmuto (Trade) and Jean Segura (Trade). The Padres also made headlines by signing Manny Machado. They’re looking to keep pace in the tough NL West with the Dodgers and Rockies. Multiple stars moved this off-season, but Mike Trout signed a 12-year extension with the Angels. While some teams hit the market and got better, there are more teams than ever rebuilding. That could make the regular season less interesting and it also means you’re not going to be able to find a lot of value in season-long futures. World Series Winner: The most popular MLB futures bet is self-explanatory. You bet on a team and if they win the World Series you cash the bet. Pennant Winners: Rather than wager on a team winning the World Series, this bet allows handicappers to bet on a team to win the AL/NL pennant. Division Winners: Most MLB seasons will end with teams battling it out for the division or wild card. These races make the last few months of the season more exciting for fans and can present betting opportunities. Full Season Player Props: Some MLB betting sites offer season-long player props, such as an over/under on how many home runs a player will hit or how many strikeouts a pitcher will have throughout the entire season. Awards Betting: Fans can also wager on what players will win each award, such as MVP and Cy Young. Not every bookmaker will offer these markets. The baseball season is long and not everyone has time to handicap games on a daily basis, which is what makes futures betting so popular in baseball. You can place a few wagers throughout the season that’ll give you action on the entire season and keep you interested in watching the games unfold. 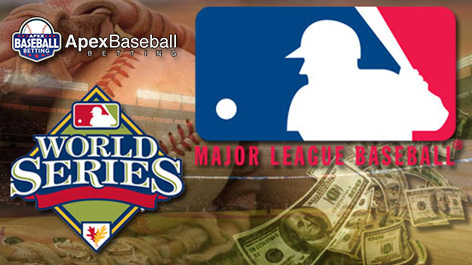 Pay Per head Software – It is important to pick the best one when it comes to betting on baseball. The Yankees (+550), Astros (+650), Dodgers (+650) and Red Sox (+750) are the only four teams paying under 10/1 odds to win the World Series. Boston won the World Series in 2018 and brought back most of the team, although they had multiple losses to the bullpen that will hurt them come playoff time. The Dodgers had a quiet off-season as well. LAD have great depth at nearly every position, which helps during the regular season, but there roster isn’t going to compete with the top heavy teams that are loaded with stars. Being a Blue Jays fan living in Toronto, it pains me to say this, but the Yankees are the best bet to win the World Series. The line-up features Stanton, Judge, Torres, Sanchez, Andujar, Voit and Tulowitzki – all players that can hit home runs. The Yankees bullpen is the best in the majors. The only question mark is starting pitching, but they could add an ace at the deadline if they think this is the year for them to go all-in for a World Series. You can bet on MLB futures throughout the entire season so you can still wait out the market until you have a better outlook on how teams are playing. There are a lot of handicappers that wait until after the trade deadline to bet futures as well.